This is garden art that belongs in a horror film. 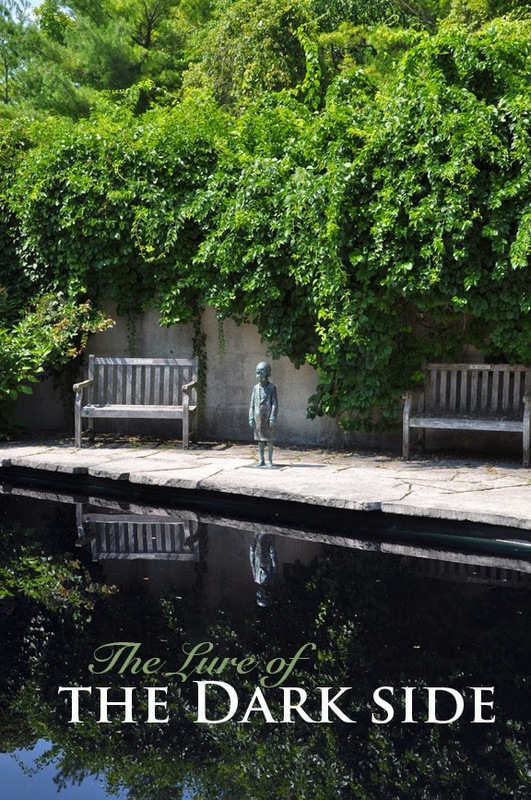 I came across this bronze statue of a small child gazing down into the murky depths of a pond last summer. The large, geometric pond was not deep, but the black liner gave it an ominous, dare I say sinister, quality. 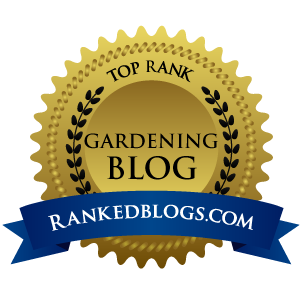 Despite my rather melodramatic opening, this is not a blog post that means to suggest the likelihood of a diabolical side to gardening. 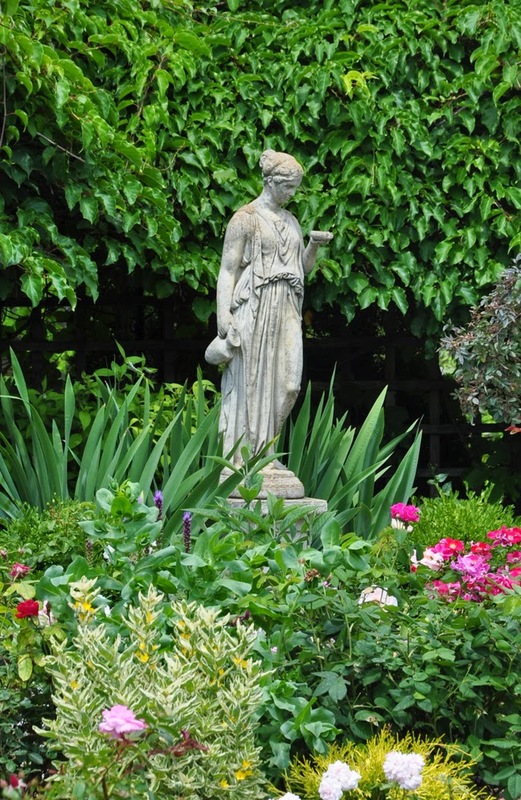 With the possible exception of the creepy garden art, I like to think that gardening is a "force" for good in the world. In this instance, there is no dark arts or science fiction involved - the "dark" I am talking about here are deep, rich colors. Bold colors from eggplant to burgundy to black are the opposite of whisy-washy. They're dramatic. 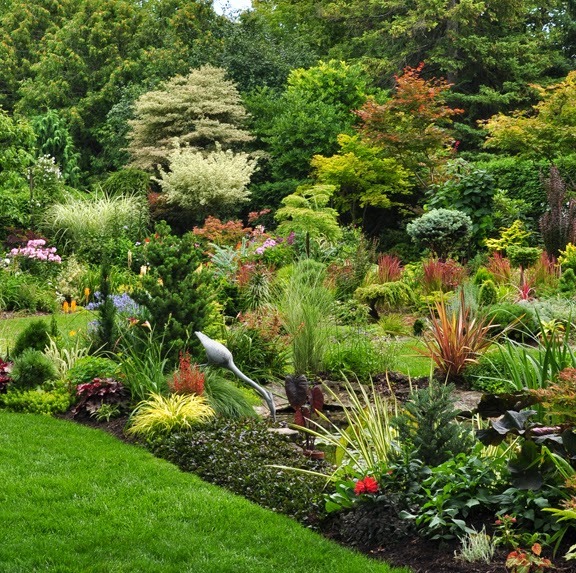 I've noticed that many experienced gardeners use strong colors to add a sophistication to their plantings. The repetition of boldly colored foliage is just one trick they use to breakup a scene that would otherwise be dominantly green. I am going to begin with a series of wide shots. In each there is a pleasing balance of opposites - the yin and yang of light and dark colors. Jacquie's garden in Darthmouth, N.S. Rich colors make bright colors pop in contrast. 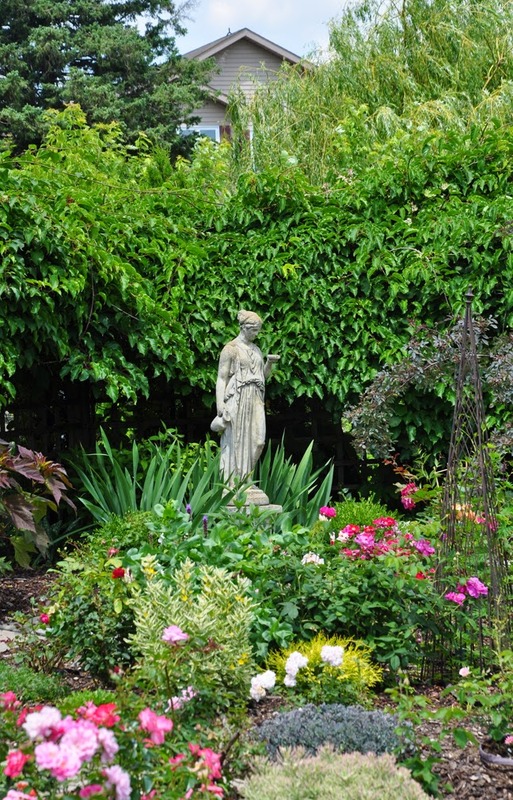 Private garden, Toronto Ontario. 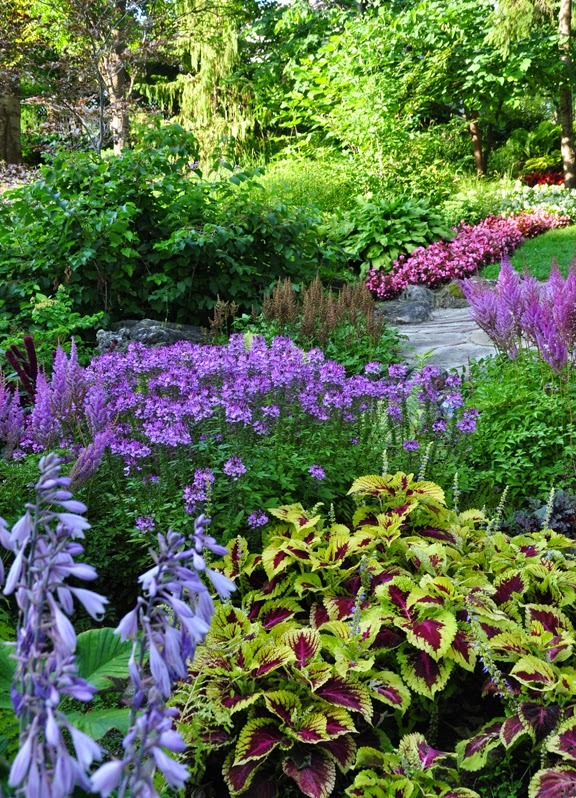 There is a nice mix of Heuchera in the foreground. 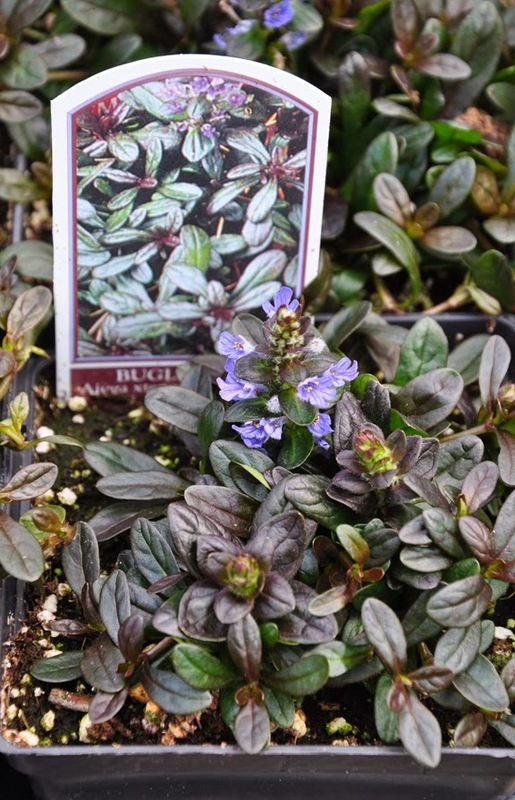 Ajuga reptans 'Chocolate Chip': has narrow, brownish-green foliage and showy spikes of blue flowers in June. This variety is not as quick to spread as some Bugleweeds. Part to full shade. It will grow in a variety of soil types , but likes moist conditions. Height: 10-15 cm (4-6 inches), Spread 30-45 cm (12-18 inches) USDA Zones: 3-9. This is a plant I added to my garden last summer. It is supposed to be short-lived in zones 5 and 6, so fingers crossed it makes it through this record breaking February weather. Wood Spurge 'Purpurea', Euphorbia amygdaloides 'Purpurea': has greyish-purple-green foliage with chartreuse flower clusters in spring. It likes 3-6 hours of morning or afternoon sun. 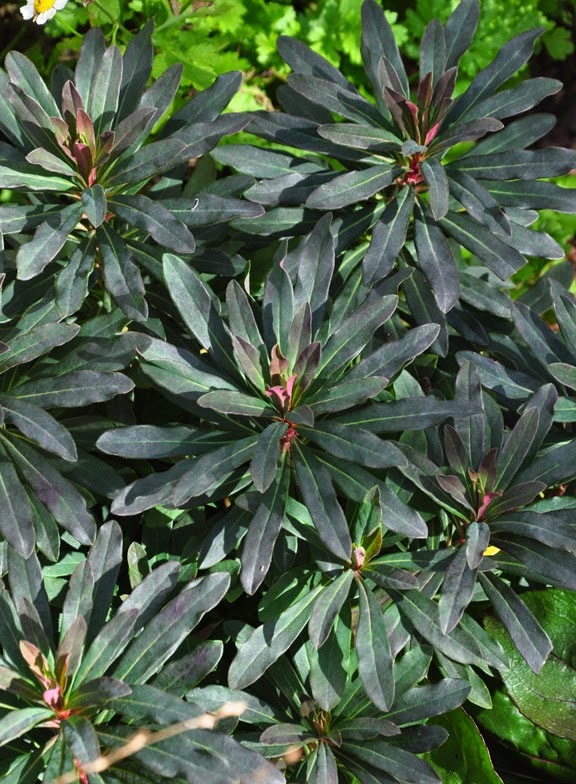 Euphorbia amygdaloides 'Purpurea' will grow a variety of soil types and can take everything from moist to dry conditions. Height: 30-45 cm (12-18 inches), Spread: 30-45 cm (12-18 inches). USDA Zones: 5-9. Not the best picture, but hopefully good enough for you to see the black magic of this Ligularia. Ligularia 'Britt Marie Crawford': is a plant you grow for the foliage and not the flowers. This Ligularia forms a large clump of mahogany leaves with golden-orange flowers in mid-summer. Slugs can be an issue. 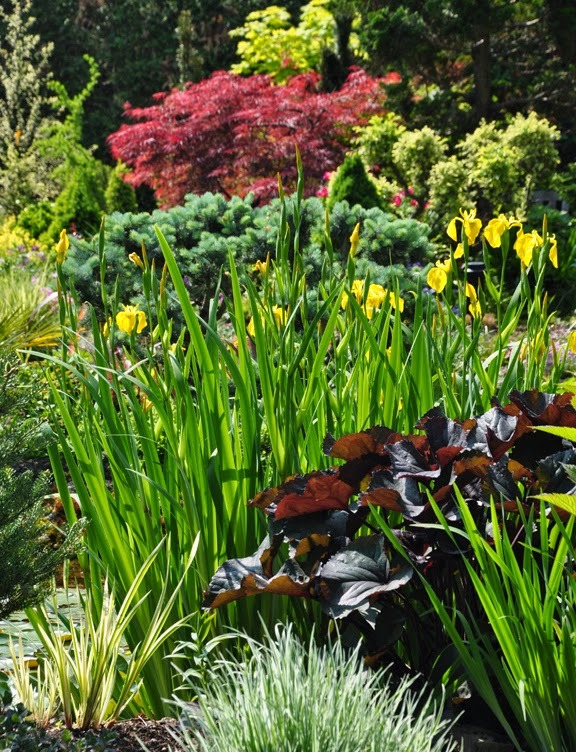 Part shade to full shade in warm regions. Moist soil is essential. Height: 90-120 cm (35-47 inches), Spread: 80-90 cm ( 31-35 inches). USDA Zones:3-9. 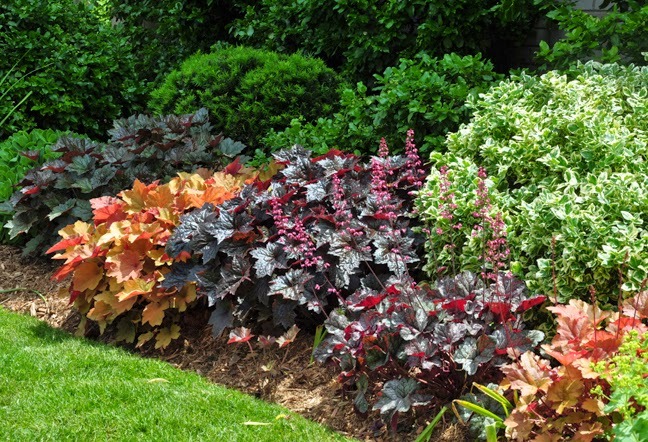 There are any number of Heuchera with dark foliage that you can choose from. 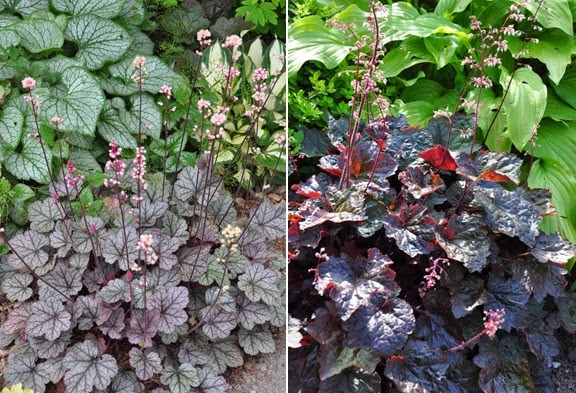 Some Heuchera, like the Heuchera 'Silver Scroll' on the left, are an interesting combination of frosted leaf surfaces with dark undersides and flower stems. 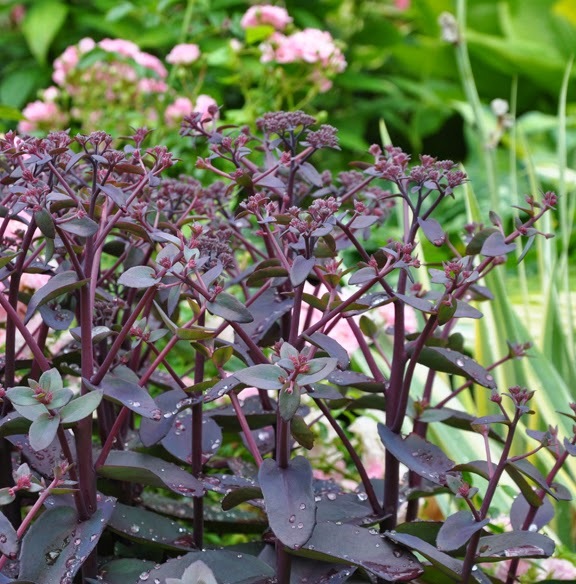 For late summer consider any number of the Sedums with deep reddish-green foliage. Here are just a few of the possibilities: Autumn Stonecrop Sedum 'Chocolate Drop', Sedum 'Purple Emperor' and Sedum 'Xenox'. 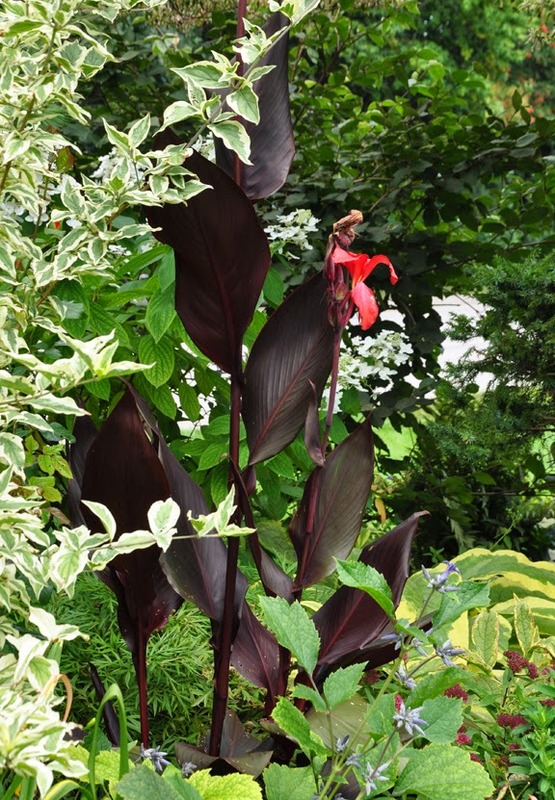 I also wanted to include a few tender perennials like this Canna Lily which must be lifted from the garden each fall. 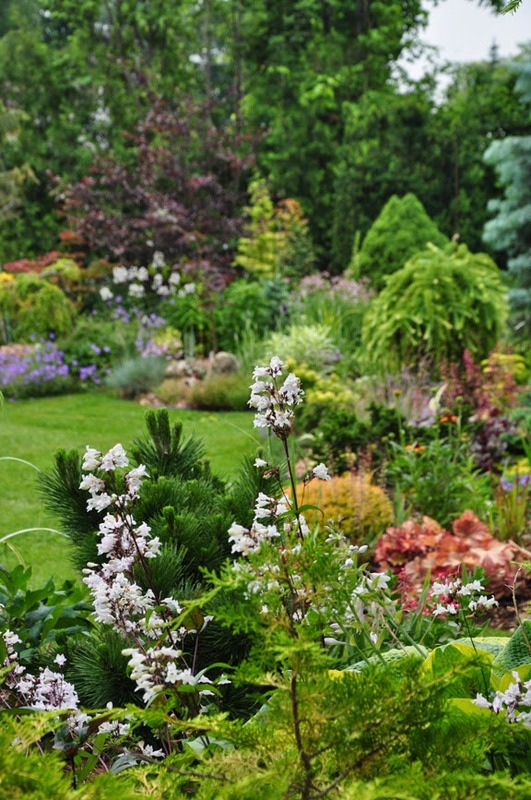 This may seem like a lot of bother, but when you consider how striking they are in a late summer garden, they are more than worth the effort. Dahlias are another plant whose tubers must be lifted in fall. 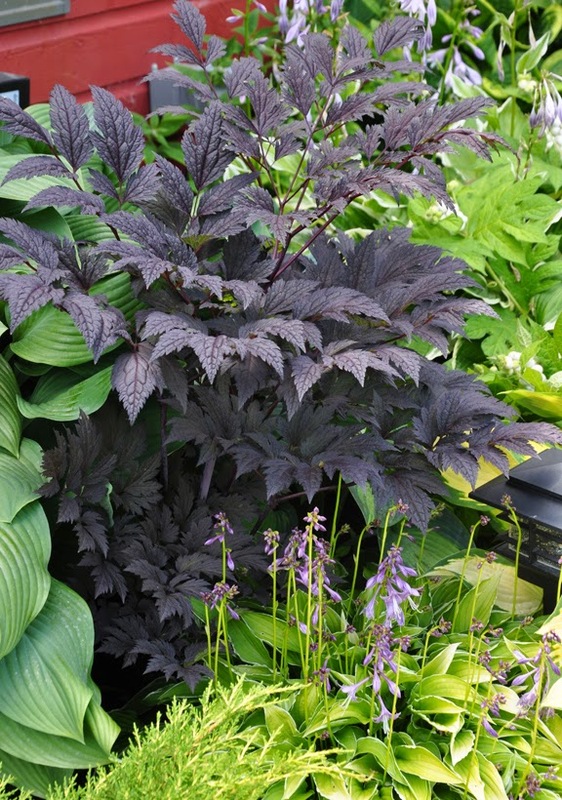 There are a good number of cultivars to choose from that have rich, purply-black foliage. 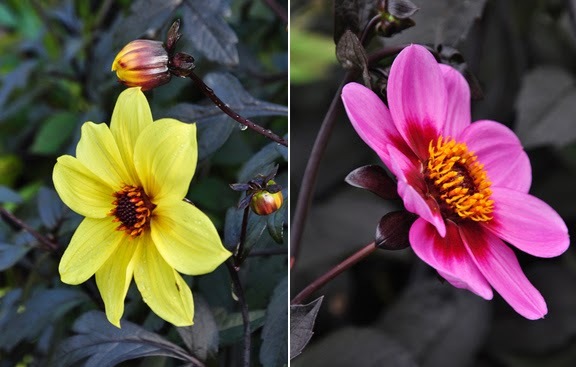 Here are just two: Dahlia 'Mystic Illusion' has nearly-black foliage with yellow flowers. Dahlia 'Happy Single Wink' has a single magenta flowers and striking black foliage . 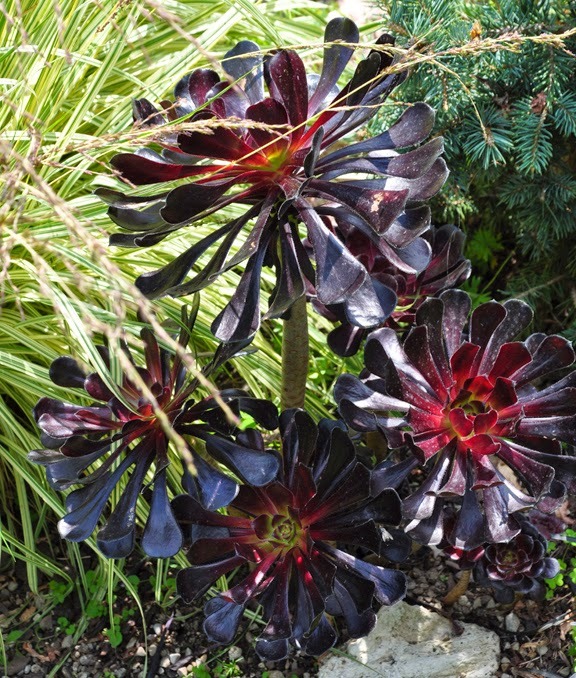 One final tender plant which I spotted in Marion Jarvie's garden: Aeonium arboreum 'Zwartkop'. 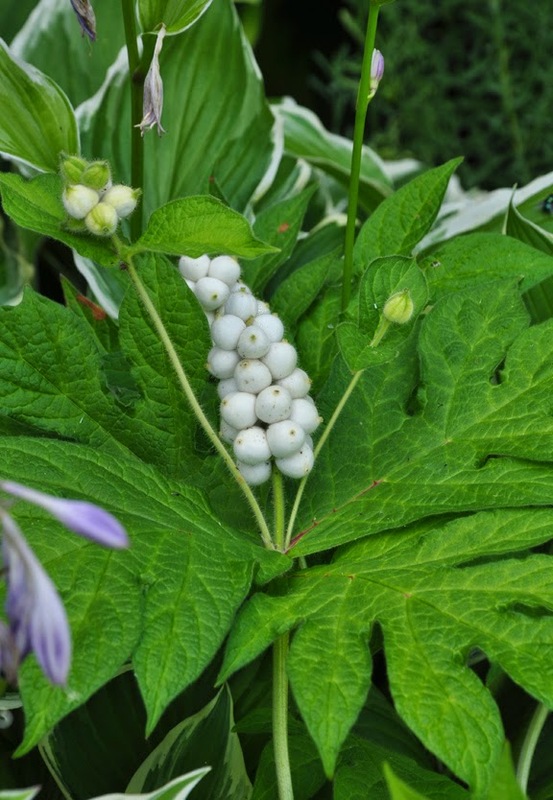 In Zone 6, this plant is unusual enough to make it a conversation piece. Aeonium must be lifted in early fall and brought in from the cold to be wintered indoors. Black Tree Aeonium, Aeonium arboreum 'Zwartkop': is a winter-blooming succulent with rosettes of black leaves. 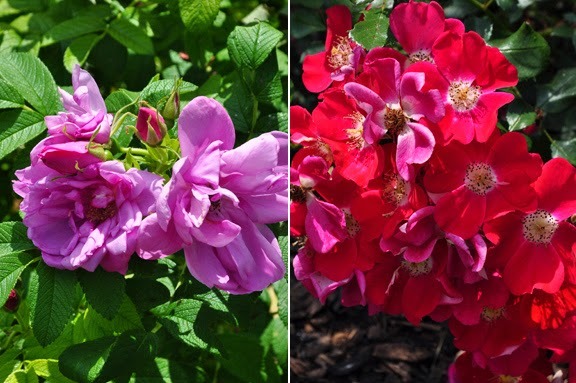 It requires full sun and well-drained soil. 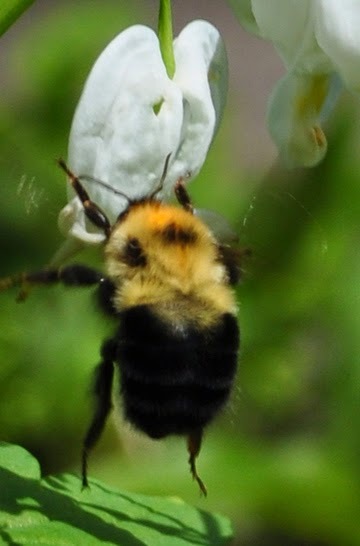 Height: 60 cm -1.8 m (24 inches to 6 ft), Spread: 30-38 cm (12-15 inches) USDA Zones 9-11.
one in the lower righthand corner. that are a deep smoky-plum. 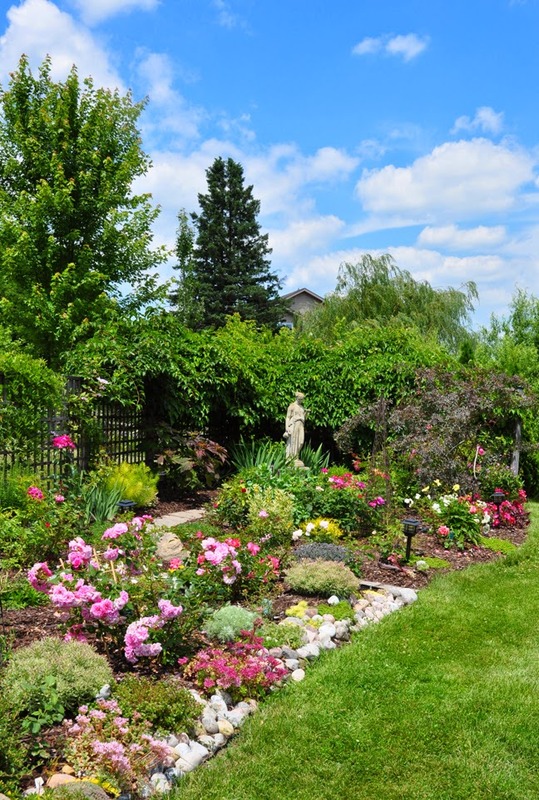 Donna Ever's garden in Halifax, N.S. Just a few examples of plants with dark stems. This Maidenhair Fern has thin black stems. Maidenhair Fern, Adiantum pedatum: has arching black stems and fans of green leaflets. The foliage is great in cut flower arrangements. 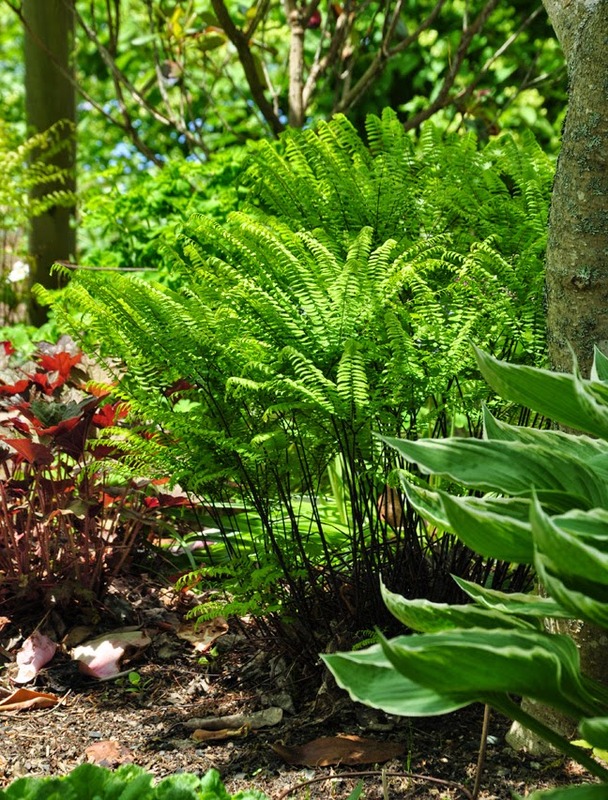 These ferns like rich, moist soil. You may find that they take several years to reach a mature size. Height: 30-60 cm (12-23 inches), Spread: 30-60 cm (12-23 inches). USDA Zones: 2-9. Ligularia 'The Rocket': Ligularia like moist conditions. 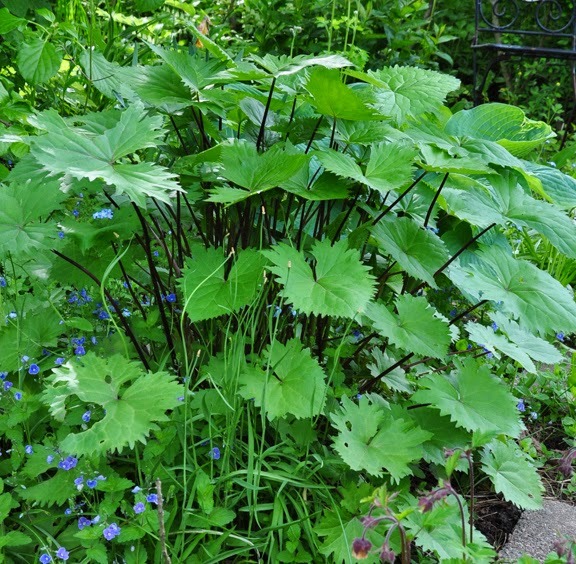 'The Rocket' forms a large clump of jagged edged leaves. 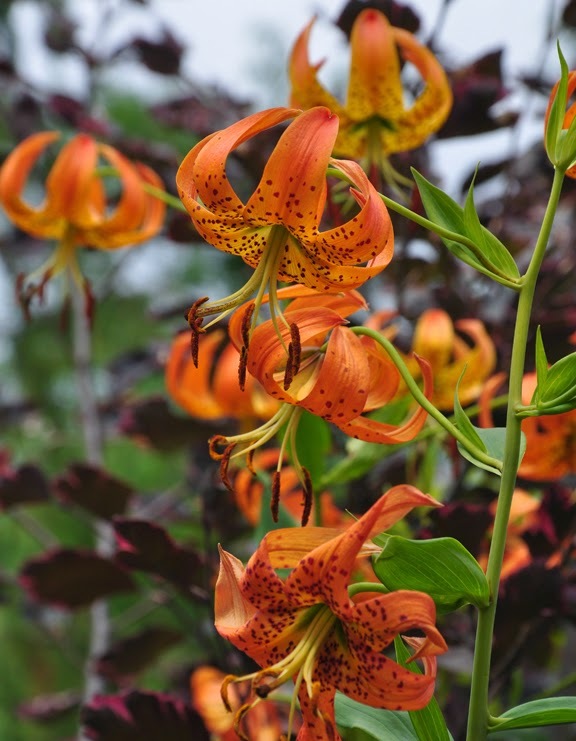 Purplish-black stems and yellow flowers appear mid-summer. Ligularia is one perennial that is quite happy in clay. Height: 120-180 cm (47-70 inches), Spread: 80-90 cm (31-35 inches). USDA Zones: 4-9. 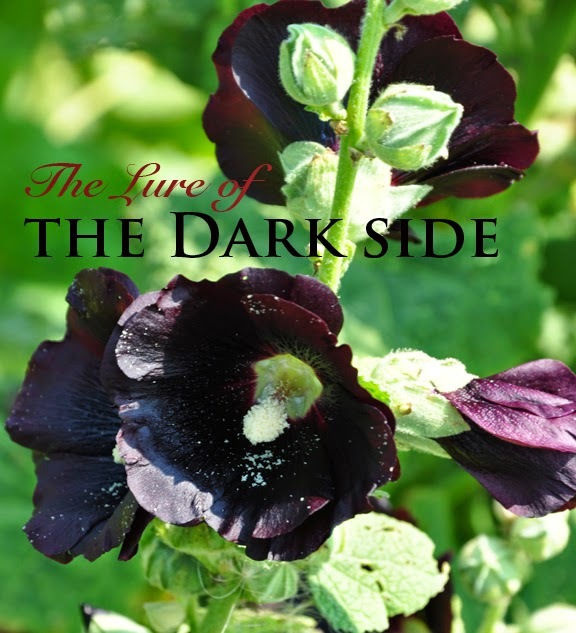 To wrap-up this post, I offer you several types of flowers that have dark flowers. Columbine: The Columbine, Aquilegia Ancolie (shown above) has eggplant colored flowers. 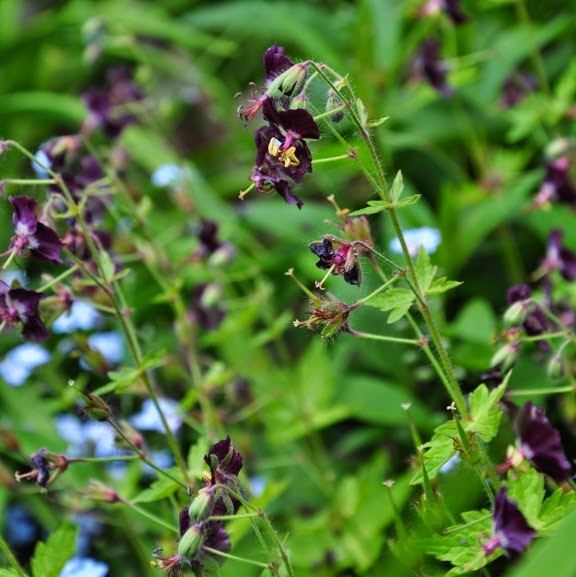 Cultivar Aquilegia 'Black Barlow' has is a double, plum-purple flowers. 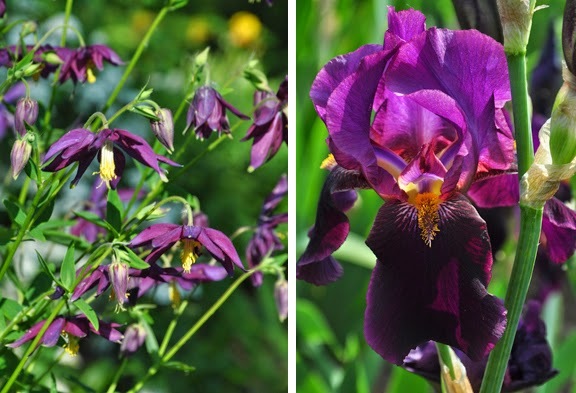 Bearded Irises come in a wide range of colors including purples, plums, inky-blues and black. Hellebores can also be found in shades of wine-red, plum, burgundy and black. 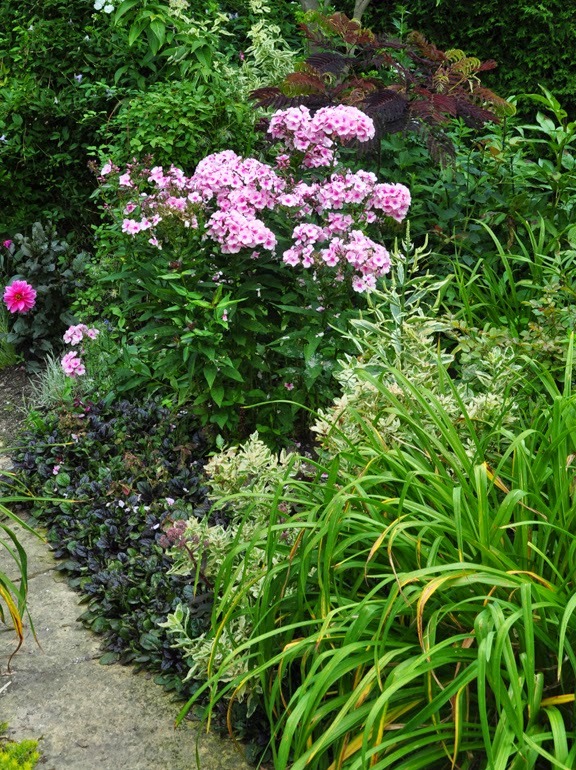 Geranium phaeum 'Samobor' and Geranium phaeum 'Mourning Widow' (above) both have deep plum-wine colored flowers. Hollyhocks (seen at the bottom of the post) are a biennial whose flowers come in a range of colors including black and burgundy. 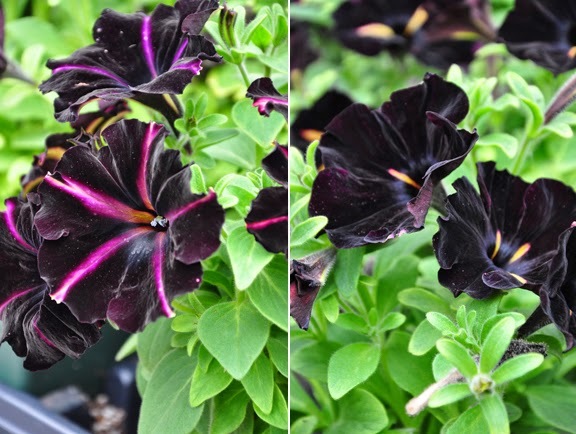 As to annuals, how about some black Petunias? Are they black flowers dramatic or just not your thing? 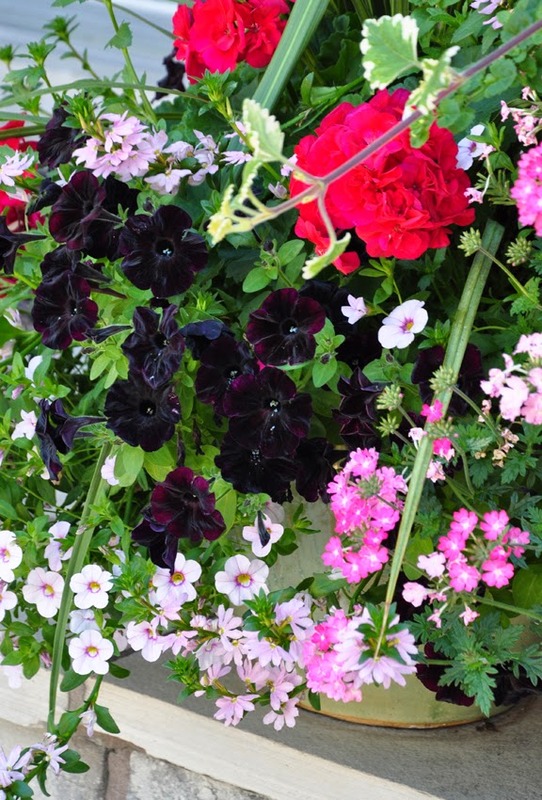 Do you know of some plants you'd like to recommend with dark flowers, stems or foliage? 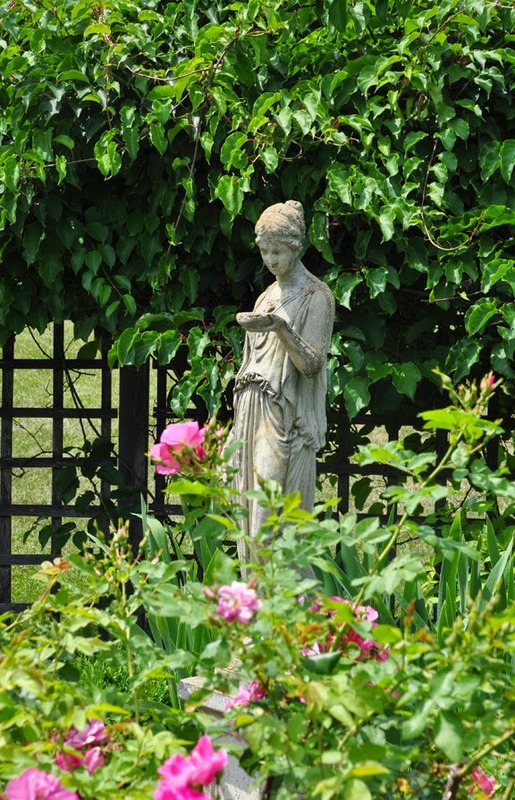 by showing you a lovely rose garden. from the more private fenced backyard. 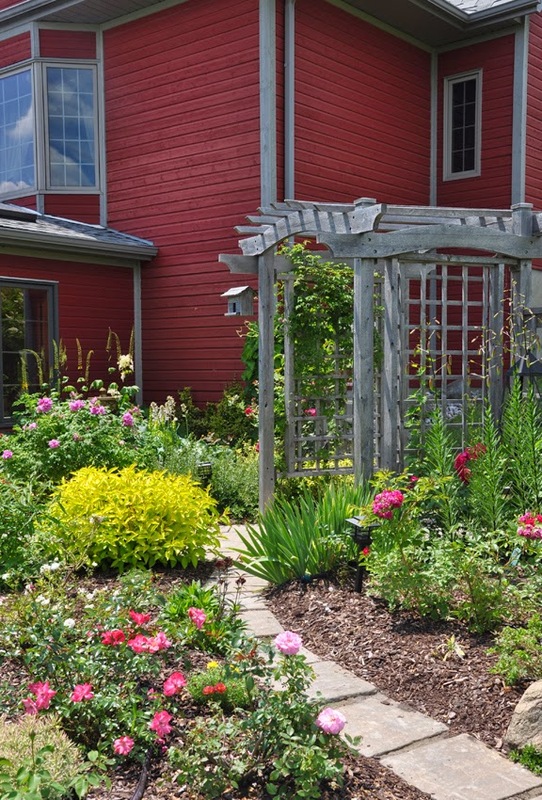 On the left, at a back corner of the house, is a small fountain and shade garden. 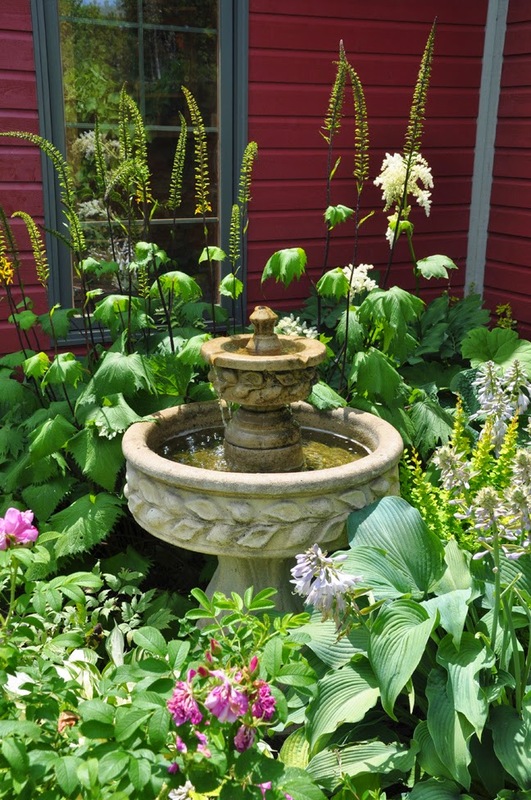 Encircling the fountain is an attractive array of hostas and other shade loving perennials. Ligularia 'The Rocket': Ligularia like moist conditions. Sun and somewhat dry soil can cause the leaves to wilt as you see in my photograph above. You can attempt to compensate for somewhat dryer conditions by insuring your Ligularia has some afternoon shade. 'The Rocket' forms a large clump of jagged edged leaves. 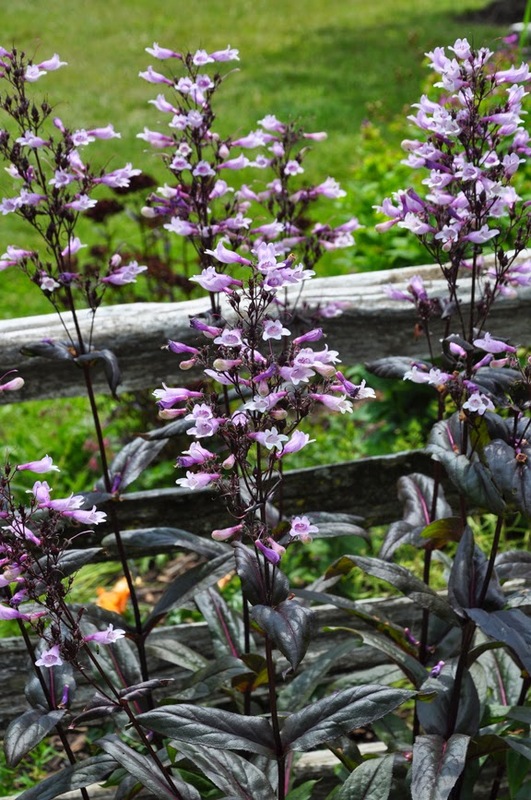 Purplish-black stems and yellow flowers appear mid-summer. 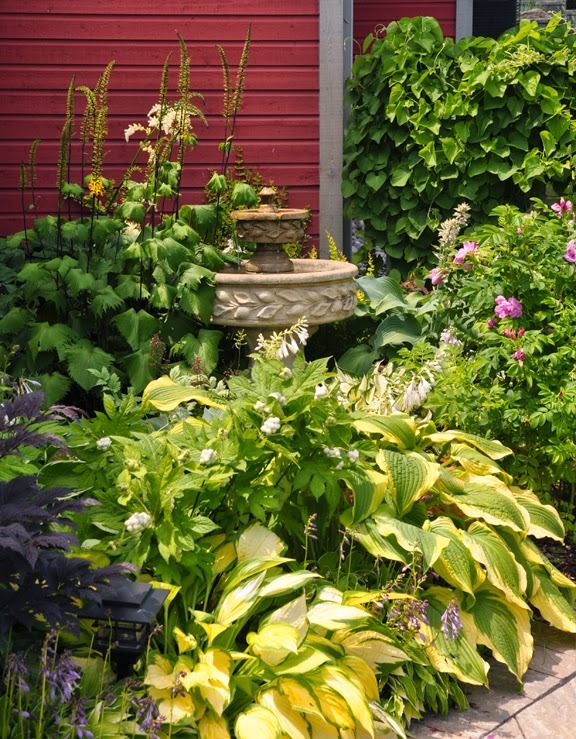 As with hostas, slugs can be an issue for this plant. Ligularia is one perennial that is quite happy in clay. Height: 120-180 cm (47-70 inches), Spread: 80-90 cm (31-35 inches). USDA Zones: 4-9. Another interesting plant in this area of the garden is this Bugbane, Cimicifuga. When I bought a Cimicifuga for my own garden last spring, I found that there were a number of similar cultivars with the main distinction being price. Below is a reference to the one I purchased. 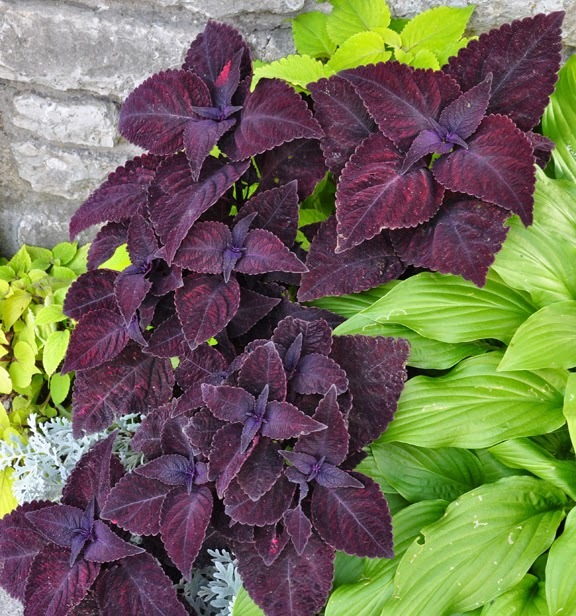 It has the same deep purply-black foliage. Cimicifuga ramosa 'James Compton': has deep purplish black ferny foliage and fragrant bottlebrush-shaped white flowers in late summer. 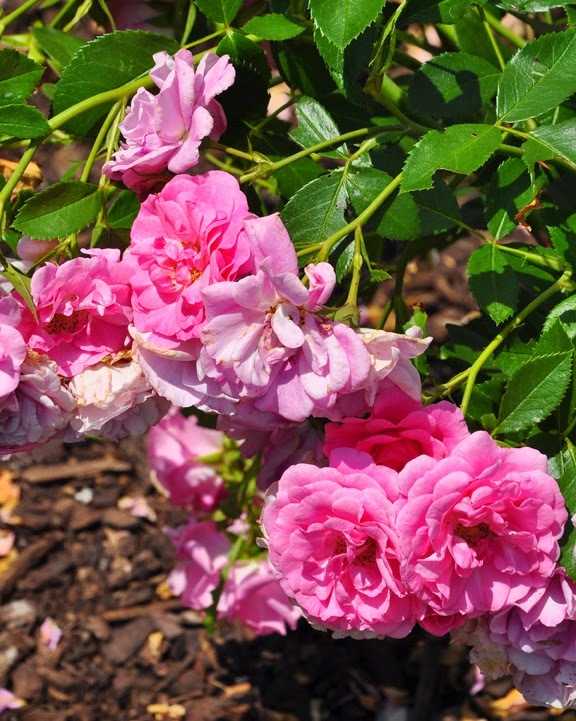 It likes rich, moist soil and part to full shade. Height: 120-150 cm (47-60 inches), Spread: 60-75 cm (23-29 inches). USDA Zones: 4-8. 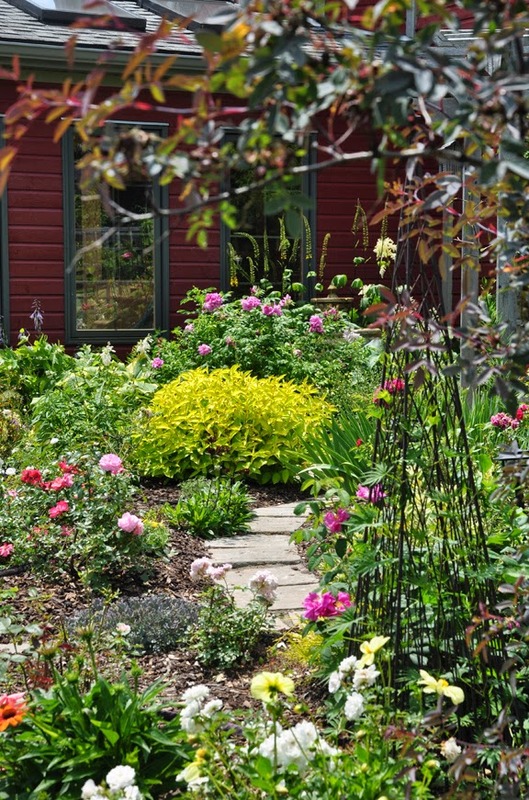 A pathway leads away from the corner of the house into a little rose garden. 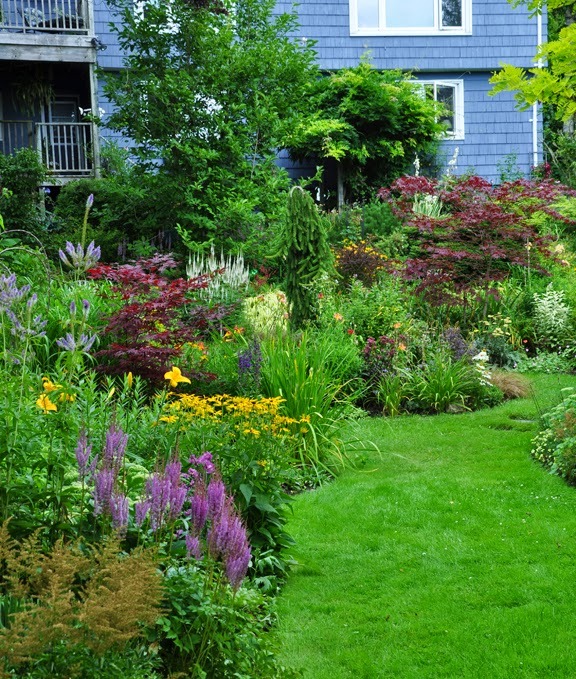 This is a fairly new garden, but it already has great promise. 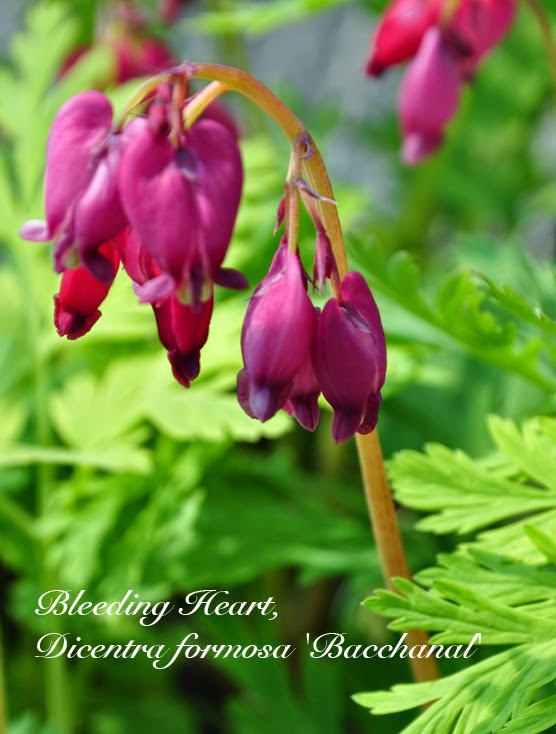 Could there be any better spring flower to showcase on Valentine's Day than old-fashioned Bleeding Hearts? 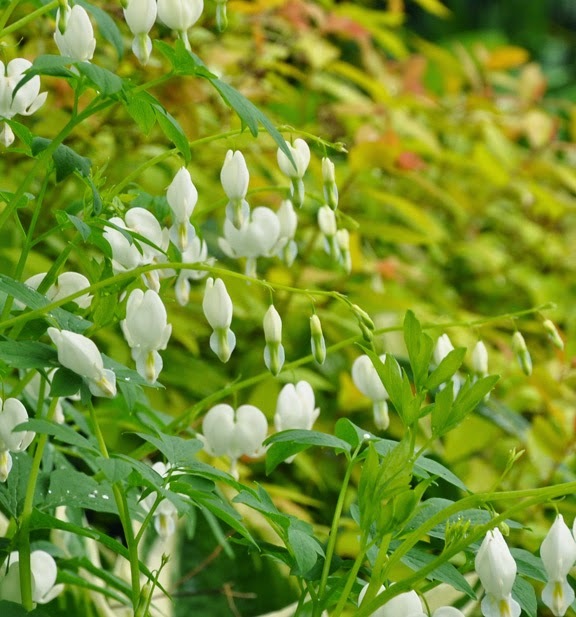 I have three varieties of Bleeding Hearts in my garden; Dicentra spectabilis, Dicentra spectabilis 'Goldheart' and Dicentra spectabilis 'Alba'. 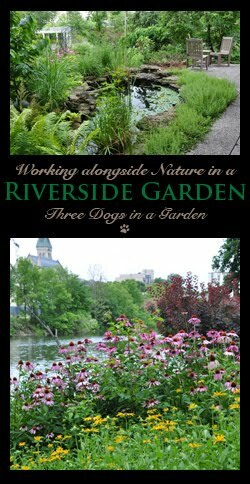 All three are planted in part-shade. 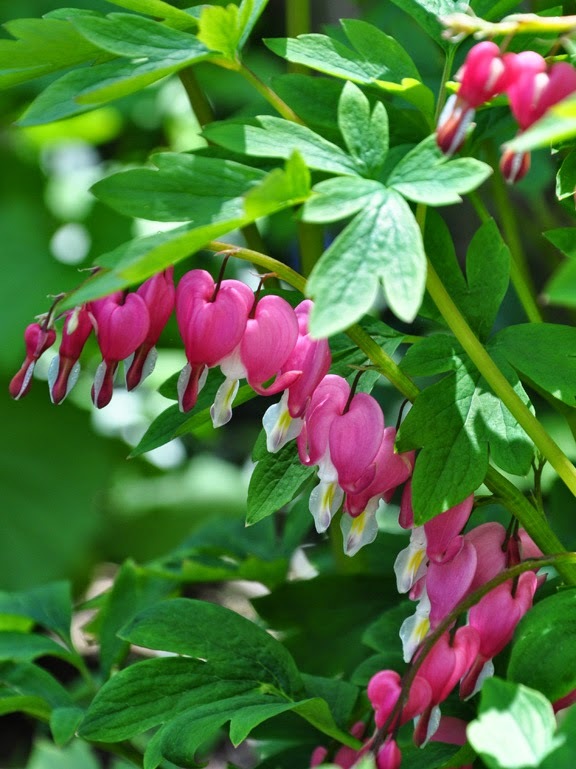 The pretty, fern-like foliage appears in early May and lasts well into mid-summer, when conditions here in Southern Ontario tend to get drier than Dicentra prefer. By then, their fading foliage is hidden by other plants. 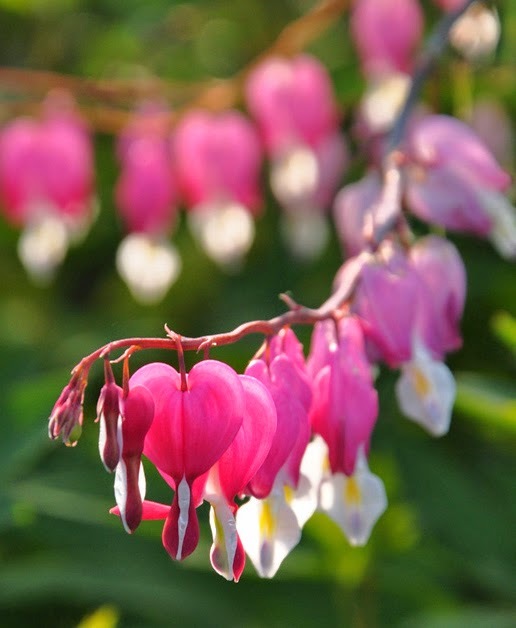 The dangling heart-shaped flowers generally last into early June. 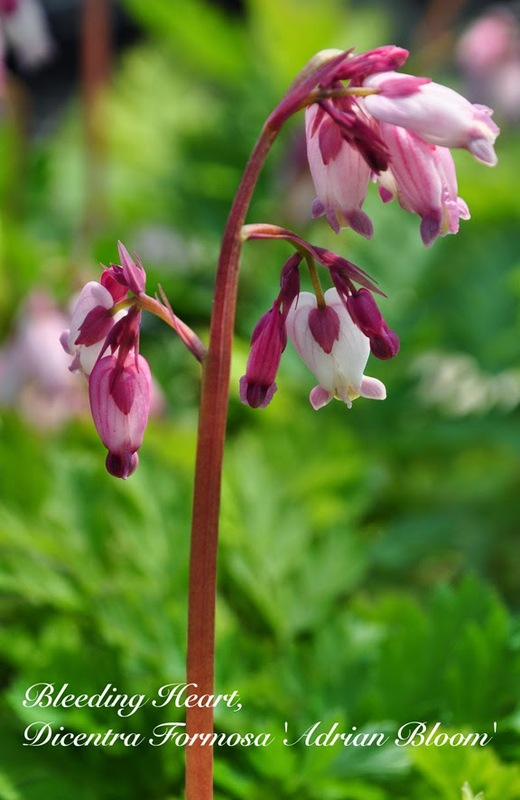 Common Bleeding Heart, Dicentra spectabilis: This common variety is still one of my favourite Bleeding Hearts. 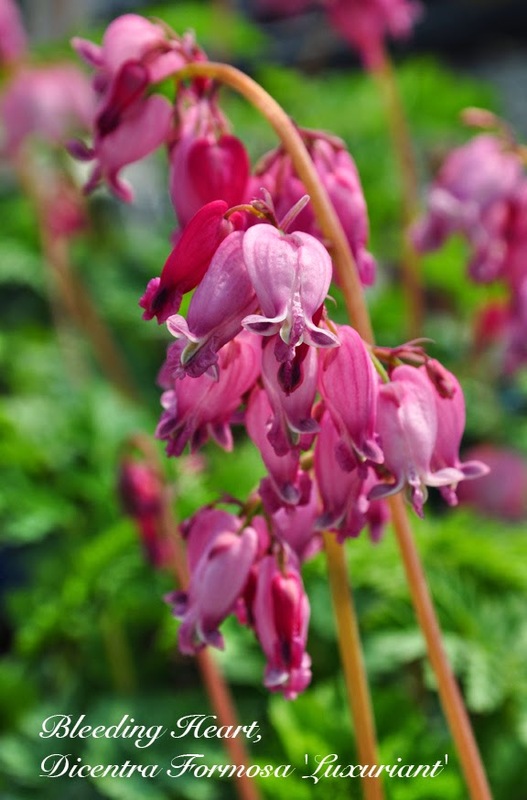 It takes a few years to come into its own, but when it does, Dicentra spectabilis forms a generous mound of fresh green foliage. 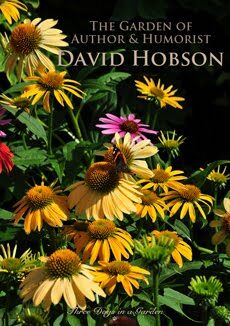 You can refresh the plant after it flowers by cutting it to 6" above the ground, but even so, it will go dormant by late summer. Light to full shade. Height: 70-90 cm, Spread: 70-90 cm. Average to moist soil. USDA Zones 2-9. 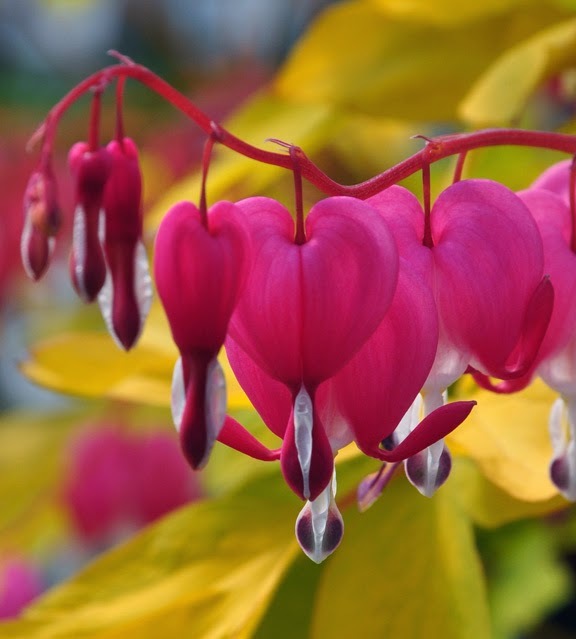 Bleeding Heart, Dicentra spectabilis, 'Goldheart': This Bleeding Heart has amazing golden foliage and magenta colored, heart-shaped flowers. Height: 60-90 cm, Spread: 60-90 cm. Part or full shade. Average to moist soil. Will go dormant by late summer. Hardy: Zones 2-9. 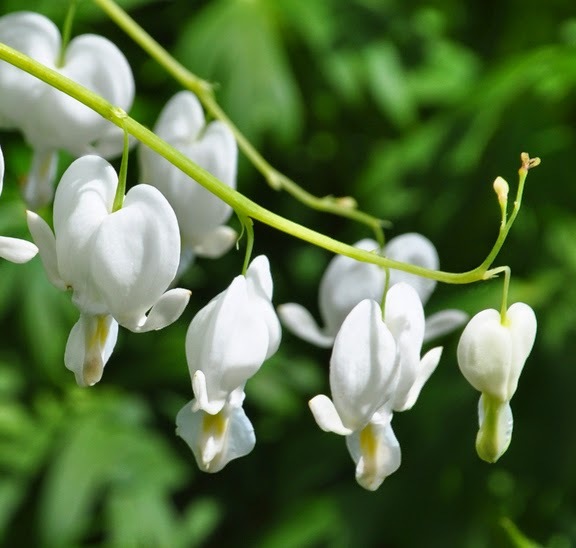 Bleeding Heart, Dicentra spectabilis, 'Alba': This Bleeding Heart has bright green foliage and white flowers. Height: 70-90 cm, Spread: 70-90 cm. Light shade to full shade. Average to moist soil. Hardy: Zones 2-9. 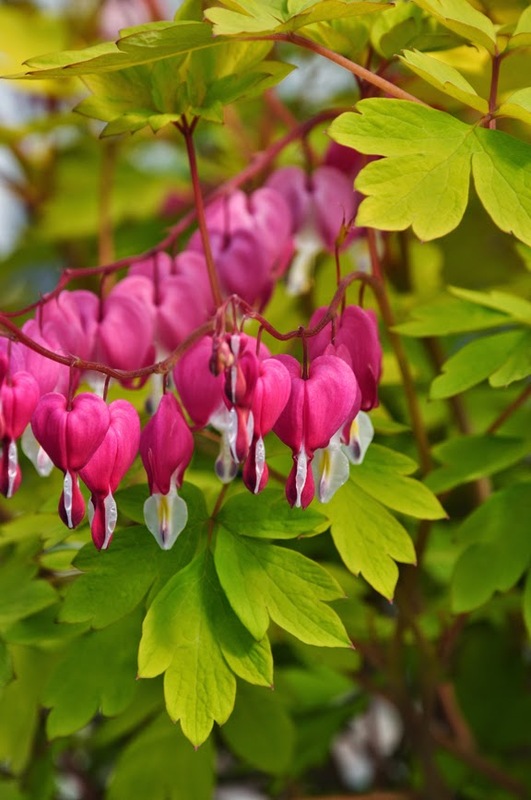 Fern-leaf Bleeding Heart, Dicentra formosa 'Bacchanal': has grey-green foliage and deep magenta flowers. Height: 25-30 cm (10-12 inches), Spread: 30-45 cm (12-18 inches) Part or full shade. Average to moist soil. USDA Zones 2-9. 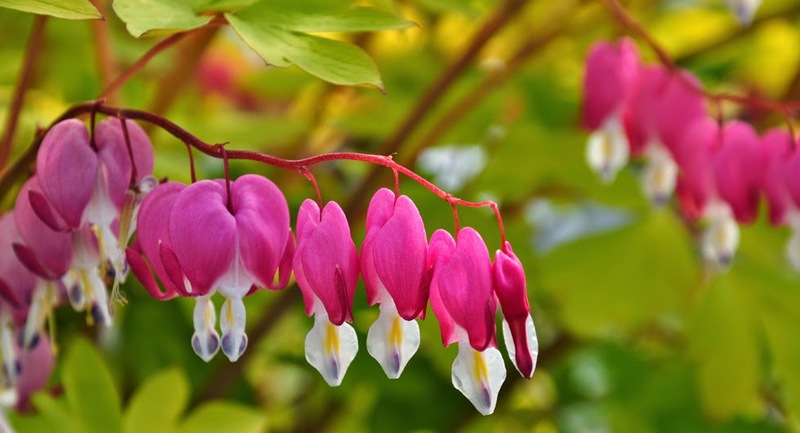 Bleeding Heart, Dicentra formosa 'Luxuriant': is another compact fern-leaf Bleeding Heart that has blue-green foliage and clusters of magenta-red flowers. Fern-leafed varieties are great for the front of a border and may also be used in containers. Height: 25-30 cm (10-12 inches), Spread: 30-45 cm (12-18 inches). Part or full shade. Average to moist soil. USDA Zones 2-9. 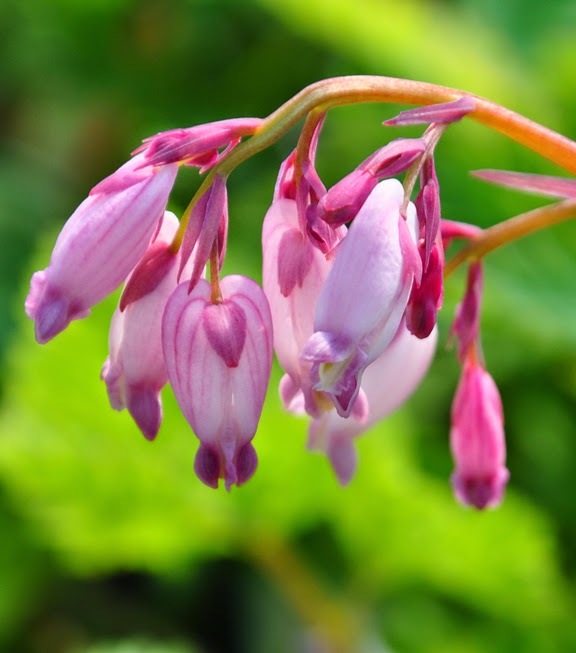 Bleeding Heart, Dicentra formosa 'Adrain Bloom': 'Adrain Bloom' is a compact plant with blue-green foliage and clusters of magenta-pink flowers. 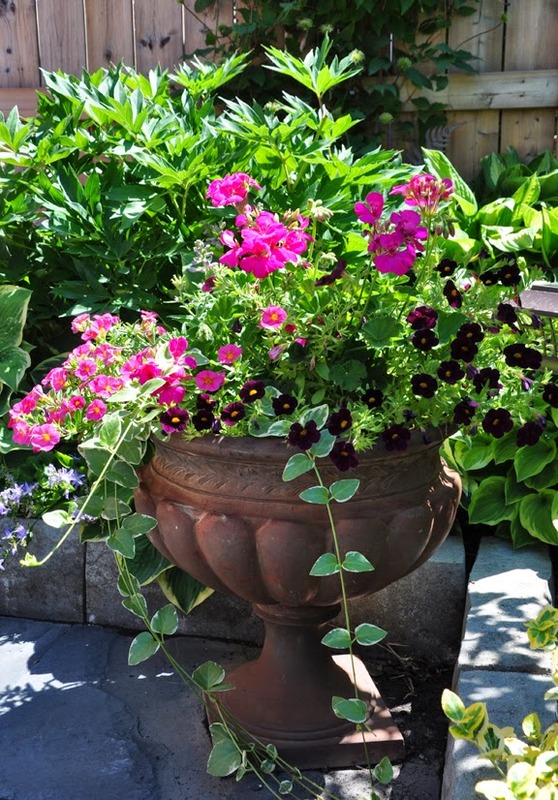 Removing spent flowers should encourage a long season of bloom. Height: 25-30 cm (10-12 inches), Spread: 30-45 cm (12-18 inches). Part or full shade. Average to moist soil. USDA Zones 2-9.